If you’ve followed along with us for a while, you know that we are renovating our home of 15 years. Besides the fact that it’s just time, the size of the home, closets, and rooms demanded we revamp systems that were in place, but are no longer systematic due to our children growing from littles into pre-teens. And while we had a strong desire to knock down walls and attempt to squeeze every square foot we could manage, some areas it wasn’t structurally sound to do so. Of course the area that could use a little more wiggle room would be our foyer (if it’s even big enough to be called that), as this is where we have always been accustomed to having our family command center. One might ask why we would put something so important in such a small area. Since it’s so high traffic it’s ideal. No more excuses as to not know where to put the mail and check the weekly schedule, as we pass right by the space several times a day. But with our reno, we wanted an updated and more modern look than our old space. So we reached out to a new brand, girlFriday and gave our little command center a bold new look with their sleek and classic premium acrylic calendars. What we love about this setup; the size of the calendar ROCKS OUR WORLD! In such a small space, anything this large and not acrylic would be a total eye sore. The hardware is so fun, almost creating a floating effect as the calendar doesn’t touch the wall. The size of each day is perfect when tracking 4 peoples schedules, nothing gets cramped or overlooked. The optional ‘notes’ section comes in handy for jotting down a quick reminder to one of the kids, or for my husband to write down an item he needs (instead of telling me verbally and hoping I remember…I mean, I’m good, but not THAT good!). girlFriday was also kind enough to send a pack of their Chalk Chick colored markers with cup holder that are so on-point when it comes to keeping a color coded family schedule. I gave each person a choice of color and got to it. No better feeling that to see what’s happening, when it’s happening a month at a time. And to control the mail monster that comes and goes in a household, I added these magazine pockets from our friends over at three by three seattle, and created an incoming and outgoing section, keeping the clutter and disaster that paper can bring at bay. What I love about these pockets is they are magnetic, allowing my girls to add important papers that require my attention. The labels are our newest favorite and come in both black and white, which we use from anything from bins to locker labels. And while I loved our last command center (posted here), I am a firm believer of reducing our footprint, so abandoning the paper calendar (wasteful) was key. I also removed the book bags and coat hooks as it was great in theory, but totally cramped the small space, not to mention the numerous times that I stepped on someone’s fallen coat or overstuffed book bag. Now we have an area where everything pertinent has a home, can be found easily by anyone in the family (no more relying on mom/wife to know! ), and works with our minimally modern home. Check out girlFriday for their variety of wall calendars to add to your home! We have always been big fans of eco-friendly products in our home, and like to share that love with our clients, as we can all work together to better our homes and our Earth. So when we were approached by THE LAUNDRESS to test their new line of organizing products, we jumped at the opportunity. THE LAUNDRESS line of laundry and cleaning is eco-friendly, non-toxic and biodegradable, plant derived and free of all allergens, with no artificial additives, and made in the USA since 2004. And their slogan of ‘taking the chore out of laundry’ couldn’t be more up our alley. Now tell us, what could be better?! We recently assisted a client update her TINY guest linen/cleaning closet and thought it would be nice to incorporate the items sent from THE LAUNDRESS to streamline the space. We were sent a combination of small, medium, and large lidded storage boxes to try, and loved the versatility of the sizes for groups such as toiletries, toilet paper, guest sheets and towels. Due to the small size of the closet we were unable to use the large storage box, but decided to use it to store sweaters in our client’s master closet. Step 1: Take everything out. Yes, everything! This is a necessary step, as it assists with grouping like items, creating categories, and weeding out items that are unused, too loved, or just not needed. Step 2: Create categories. We like to have general categories, as becoming too specific creates room for error. Generalized categories allow everyone in the home to put items away, instead of second guessing. Step 3: Determine containment. For this particular linen closet, we were looking for a lidded cloth bin just like these THE LAUNDRESS canvas bins, as we were looking to contain toilet paper, towels and sheets, protecting them from dust and debris, ensuring the items to be clean when used. This also allows us to rid the closet of retail packaging, which can be bulky and unsightly. Step 4: Label, label, label. We can’t stress enough how important it is to not skip this step. There is no such thing as over labeling, even if you feel like the contents are totally obvious, still add a label. Labels promote continuity in a space and a no-brainer for where items are to live. We absolutely love products that already have a dedicated spot for a label, just like these THE LAUNDRESS fabric bins, which have a built in pouch and easy to remove labels just in case the contents change. Step 5: Determine placement. We like to tell our clients to always consider for whom the space is intended when determining placement. With this particular space, this is a closet designed for guests to find extra necessities when staying, such as extra linens, backstock toiletries, and toilet paper when in need. Step 6: Fill with favorite product. We are huge fans of non-toxic and eco-friendly product, so it just felt right to stock this guest linen closet with THE LAUNDRESS products, to include surface cleaner, glass & mirror cleaner, scented vinegar, all-purpose cleaning and bleach, feather duster, and scrub brush, gloves and apron for the homeowner to easily turn over the guest bedroom and bath. Step 7: Enjoy all of your hard work! What we love about THE LAUNDRESS lidded storage bins: lidded to keep contents out of sight and free of debris, pouch on front of bin for a label (total win! ), lightweight and attractive, and a white bin that goes with every decor style. What we are excited for: seeing what items THE LAUNDRESS has developed for each space of the home, and incorporating these items in our clients homes. Tell us, what are would you choose to organize with THE LAUNDRESS new organizing products? My husband and I have always considered ourselves ‘diyers’, but it has gotten real since May of this year, as we have basically begun to tear out everything in our home and begin anew. Ever since our zoned high school has ranked top 10 public school in the state of Georgia, our sole priority has been to make our teeny tiny home work for the sake of our young children. That is unless until they graduate, then we are out of the suburbs for good! We began with the biggest task, the flooring throughout the entire home. Not sure if we were wanting to test our 14 years of marriage for its stability, or just sick of living on old carpet/hardwood/laminate flooring. We decided we would skip the middle man and tear out and install all the flooring on our own. That process is a whole other blog post that I can’t seem to bring myself to write. Long story short, save your money and hire a pro, or plan on spending 10+ 16 hour days doing it yourself. And buy kneepads, not the cheap kind, the ones with the extra layer of gel. And epsom salts…a Costco sized bag. When it came to the staircase, we at first thought that we would install stair cap-a-treads. But after discovering our stairs were wood, and adding treads would require us to dismantle the entire staircase (not sure how you would do that with two kids living in the home—guess no one would shower for that week?!). We decided that a nice coat of paint and a stair runner would give it the look we were going for. All we (read: I) would have to figure out was HOW to make/install the runner. After finding just the right style of runner I wanted, I had to figure out how many I would need to cover the stairs. So of course I used my super high tech method of having each of my children hold both hands and both feet on the runner as I draped it along the stairs to measure. From this exact calculation, I decided that one runner would cover 4 stairs, and with having 17 stairs, I would need 5 runners to be safe. Sometimes the easiest way looks like the silliest way of doing things, but I’m a visual person, so measuring and calculating would have just confused me beyond belief! I then gathered all the necessary supplies for the project: staple gun, staples, needle nose pliers, scissors (for cutting the runner, yes you have to cut the runner—can prove frightening! ), sharpie for coloring silver staples to black, tape measure and runners. I began at the top of the stairs right underneath the first nose, folded the runner edging over and stapled it against the riser (the part of the stair that goes up) across the hole section of the runner, keeping it taught with one hand to ensure the pattern was even and there wasn’t any bunching. I added as many staples as I thought the runner could hold, especially along the sides, top, and bottom of the riser to prevent the runner from sliding. I elected to NOT add any staples to the tread (the part your foot rests on) as I didn’t want any sharp bits poking anyone, as we are a shoe-free home, and it would hurt similarly to stepping on a LEGO. No thanks. I also elected to not add any carpet padding or anti-slip pads under the runner, as I felt that with the proper placement of the staples under the nose of the stair and all along the riser, the runner would stay in place (which I’m happy to say 3+ months later, it doesn’t move a bit!). I continued on the above path, while measuring the sides of the runner from the wall to ensure a straight line, until I reached where the first runner wouldn’t fully make it over/down stair #5. To be honest, I sat with the scissors in my hand for a few minutes contemplating if there was another way of achieving my goal without hacking off a good 12+ inches of this beautiful runner, but was unable to see how. I conjured up enough courage to take the first snip, had to breathe very deeply while doing so, as the runner began to shred horribly in my hand. It was as if all the hard work that had gone into weaving the runner was out to get me. Without panic, I successfully cut the first runner to size so that I could fold it and staple it to the underneath of the nose of stair #5, thankful with every staple that the shredded mess was folded behind the crease. Phew. Typing this made me totally relive it. And it was not a moment I was hoping I would relive. Just. Don’t. Panic. Successfully completing seeming the first two runners together made me realize that I could make this work beautifully. Fold the top of the next runner and continue stapling…and the rest was just a repeat of the above, minus the sheer panic. The cost for this project was minimal, around $300 in total. Beats the $1000 for the stair caps we were going to purchase plus the cost of dismantling the stairs…still not sure how that would have been accomplished. Tell us, what is a project you’d like to tackle on your own at home? New runner, crown moulding, flooring, tiling? We love a methodically organized fridge. Hands down, not much beats that feeling of opening the doors and finding exactly what you want, with every item having a designated spot, and nothing lurking in the corners waiting to be discovered. Not to mention it helps with dinner prep and grocery shopping, of which most of us loathe. So when we were approached by ModernKitchen USA to collaborate on silicone freezer bags, we realized the step-sister, aka the freezer, gets overlooked when it comes to organization. Just like every space we organize, giving each type of item its own permanent place is key to keeping the space tidy and the freezer is no different. We recently went from a side-by-side to a drawer style freezer and found it challenging to keep items, like our smoothie fixings, from being buried underneath a pile of food, getting lost in the mayhem and freezer burnt beyond our wildest imagination. After setting a system and designating space for particular groups of food, we realized that we were still missing something. That freezer burn we were discussing hadn't disappeared just because we found a home for our frozen fruits. And ModernKitchen USA came into our lives at just the right time. Kismet?! Not only are these silicone freezer bags safe for the frigid temperatures, but are reusable, and they keep the contents fresh and free of freezer burn. We like to use our for smoothie fruit and a pre-made smoothie base, making our mornings that much easier here in the hot, humid southern weather. Bonus, they come in fun colors and are easily labeled with freezer proof labels. Tell us, what would you store in these silicone freezer bags by ModernKitchen USA to help you with easier food prep and a more organized freezer? Do you have a side-by-side or a freezer drawer? **This is a sponsored post. All items were provided to us in exchange for our honest opinion. Not all bathroom vanities are created equally. Isn’t that the truth, especially if your home isn’t new construction or has been recently remodeled. And as an organizing company, we see countless bathrooms that have insufficient space, to include an absence of drawers. Whoever thought that drawers were a BAD idea in the bathroom had no clue what they were doing. And with said absence, there is always a mountain of items shoved in the cabinets and way too much product on the counter. Bad combination especially if you’re actually trying to find something in particular in a short period of time. Or ever for that matter. We met with yet another client that had this exact issue, shocking we know. We aren’t strangers to this problem, so we have a list of products and tricks up our sleeves to make the cabinets function with perfection. We were lucky that the cabinets were as deep as they were wide, ensuring that our magical sweater drawers would work like a charm. Add that they are dividable, making them customizable, simulating a built in drawer. As with all projects, we started by taking everything out and grouping like products to decide on categories and placement. Once this stage was completed, we decided on the following categories: hygiene, perfume, oils, face & body, hair tools, and feminine. Easy to find, easy to replenish once the supply of a particular item runs low, and by using the sweater drawers, it limits the amount of product that one person can have on hand. There is nothing better than good balance between needs and wants. Items we used in this bathroom are listed here and here. A well organized and high functioning kitchen has always been high on the priority list for most of our clients. And just as the kitchen cabinets, drawers, and pantries are important, the fridge and freezer are equally as important. So when we were approached by BevStow to test their beverage fridge organizer, we were totally about it, as a well space saver in the fridge is priceless, especially when it has to do with our nightly glass of wine. It is our belief that an organized fridge begins with all the deliciously rainbow colored fresh fruits and vegetables, and ends in a game of tetris to get said food into the fridge in an accessible way. And this is even more true when their are young children in the home, as it is important for them to help themselves to the array of choices. But when it comes to maximizing every inch, it can prove challenging, as many of the adjustable shelves leave room that is not in use, which is totally wasteful in our opinion. Enter BevStow. No more attempting to put the open wine bottle in the side door at an angle and hope for the best. No more lying it on a shelf, taking up precious room for other items. Just leave the wine out you say. We say no way. BevStow's suction cup technology allows you to store a bottle of up to 10 lbs under the glass shelf in temperatures from -20F to 120F. The concept of a hanging wine bottle allows the space on the shelf to be used for food, above it the wine. What perfect fridge harmony! You can find BevStow online for purchase, or find them on Instagram here. Don't forget to tag them in your photos and use #BevStowWine and #organizedsimplicity to share your fridge with us! It's an understatement to say we love (and live for) creating gorgeously organized spaces. And it's also understood that we have some of the best regular clients that keep welcoming us back into their beautiful homes. Like one of our most recent projects, we just can't get enough of this client's Frank Lloyd Wright-ish style home! We have had the pleasure to have worked in many spaces of this client's home; kitchen, pantry, and art loft. And we were beyond excited when our client decided she wanted a fresh start on her master closet. 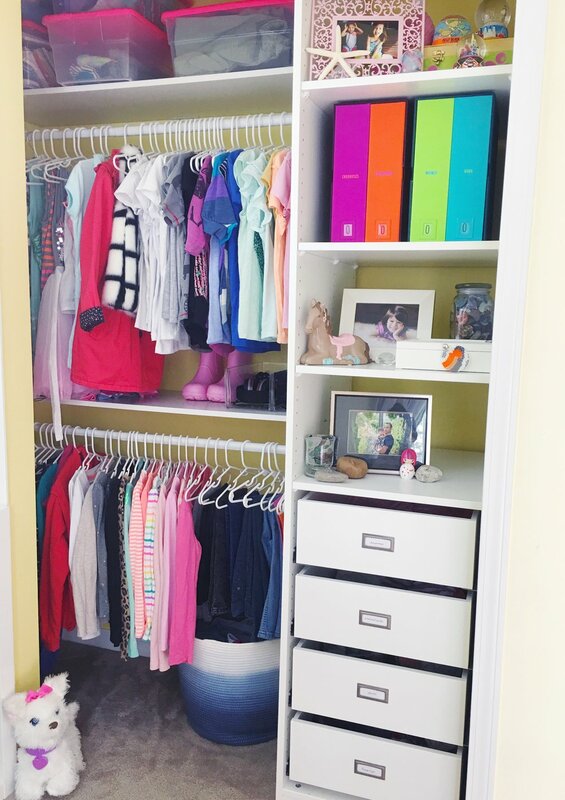 Who doesn't love a closet refresh AND a completely newly designed closet system?! Even better, our client's love for color sparked an idea to incorporate a rainbow of hangers, not only to bring in the aesthetic but also to have function, as each color hanger would correspond to a category of clothing. Form, function and beauty...now that's our kind of space! Add a heel box for out of season shoes = perfection! Given the go with absolute power to design, we decided the back wall should showcase shoes as the focal point. To the left we added double hanging potential from front to mid way, allowing for our client's massive clothing collection, using accessories boxes for storage. Long hanging sections to the right and the left of the rear of the closet, sectioned for dresses on one side and coats on the other. On the right side next to the long hang for coats, we had installed 8 drawers for our client's gorgeous bits and baubles, and 12 drawers for our client to transition from a dresser in the bedroom to all in the closet. We added an Elfa mirror for the perfect area for adding that final touch to any outfit. And never forget a clutch organizer plus baskets for bags for the best storage solution. Isn't this just the most lovely transformation you have ever seen?! We're thinking our client may have had a slumber party in this closet when we left. And would you blame her?! What is the one thing all parents struggle with? 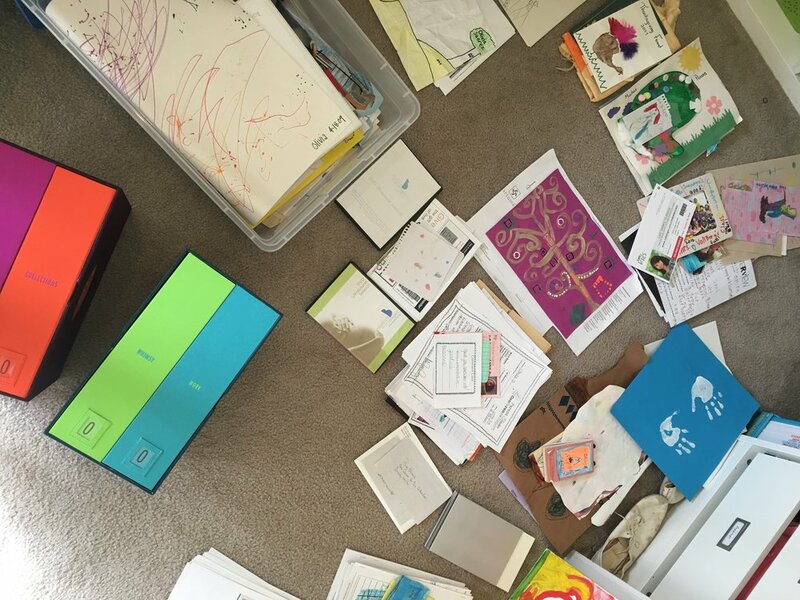 A close second behind toddler meltdowns and a strong desire for wine before 5pm, is kids mementos and artwork (read: paper clutter overload). You could get a life size plastic storage tub, dump it all in, and hope for the best. But we all know that method creates nothing but anxiety. You could ask you child's teacher to be selective on what they send home, I mean, do we really need EVERY worksheet that our child lays their hands on?! (Nothing but love to all the teachers out there!) What if we took it upon ourselves to have a system in place that prevented the years of school paper pileup? Enter savor to help us do just that, and quite stylishly we might add! Savor, began by two moms with school aged children who were tired of the 'ugly plastic bin' catch-all used to corral all the artwork, report cards, and mementos. 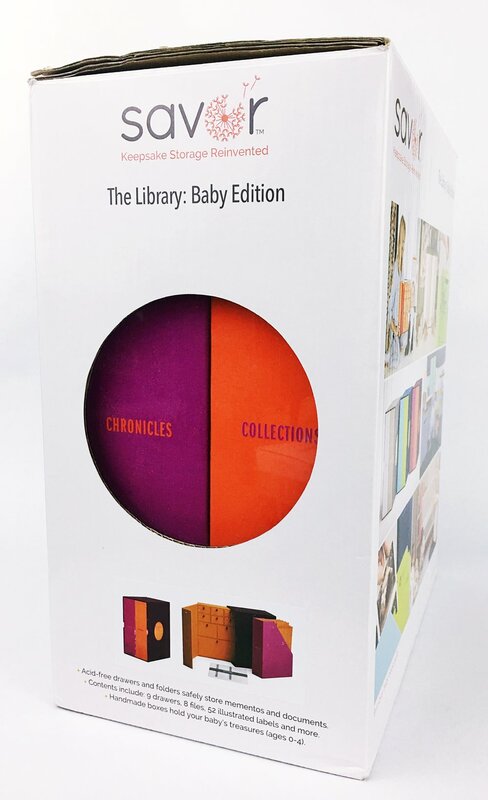 They developed The Library, which comes in two different versions: The Baby Keepsake Box and The School Years Keepsake Box, with a choice of 3 different color collections that are handcrafted, custom-dyed fabric boxes in such fun colors. 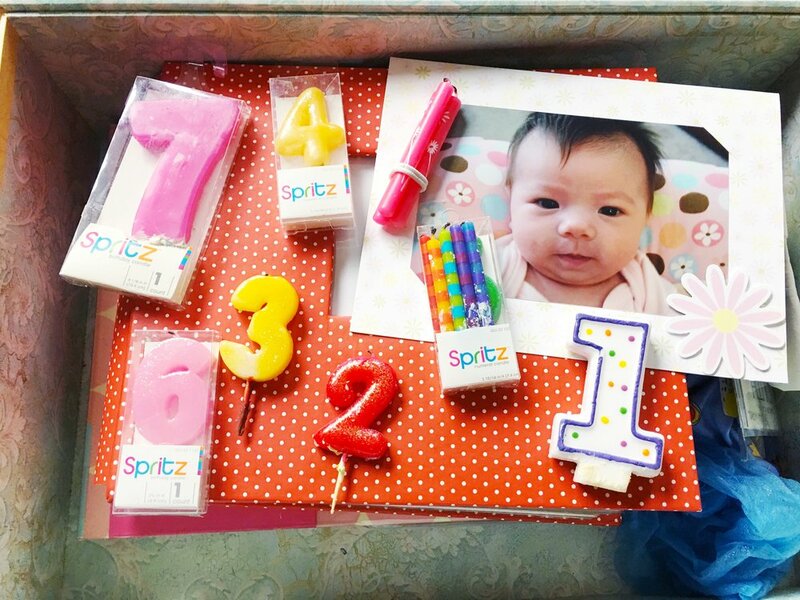 Each type includes 50+ labels, initials to personalize your child's box. 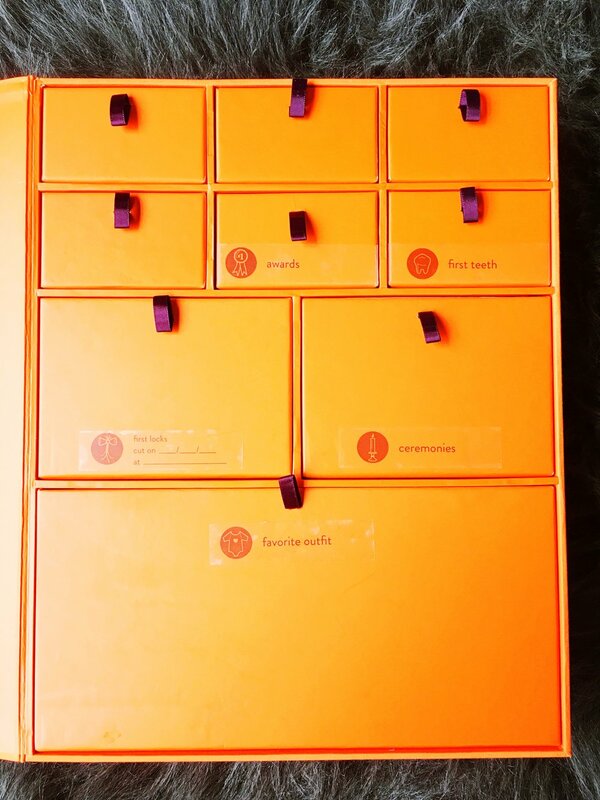 The Baby Box includes 9 drawers and 8 vertical files, while The School Box includes 16 vertical files, perfect for collecting those items we as parents would love to preserve over time, passing them down to our children proudly. 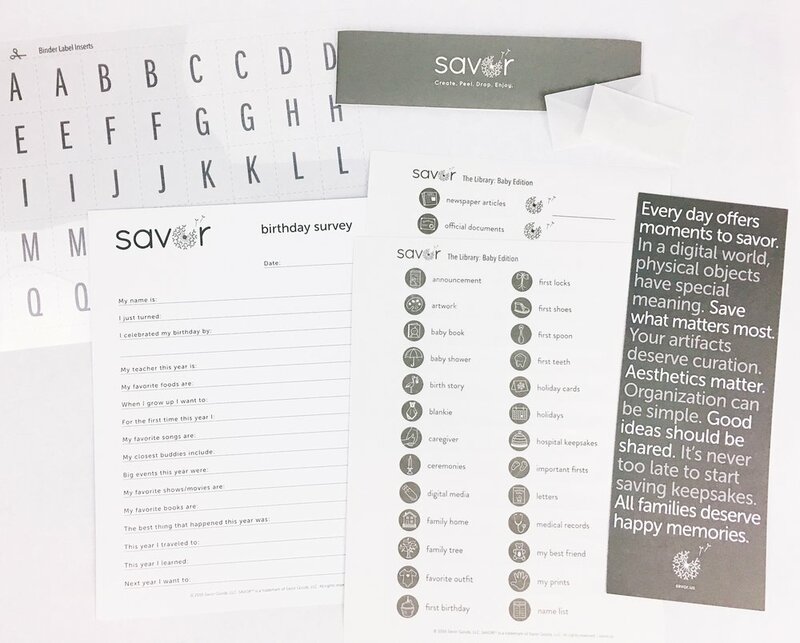 We were honored when approached by savor to test out their bespoke product. As organizers, any product that creates a system and thereby creates peace, is one we can get behind. We, similar to many other parents, stored our children's keepsakes in plastic bins under the bed. We had already created a system of photographing artwork to make photobooks, keeping only the top picks, eliminating and editing school work and school report, all while keeping baby mementos in their own storage. Did we love the way it was stored? No. Did if function to our highest standards? No. Was it easy to reminisce with our children and their mementos? No. Were we proud of our storage solution as professional organizers? Absolutely not. 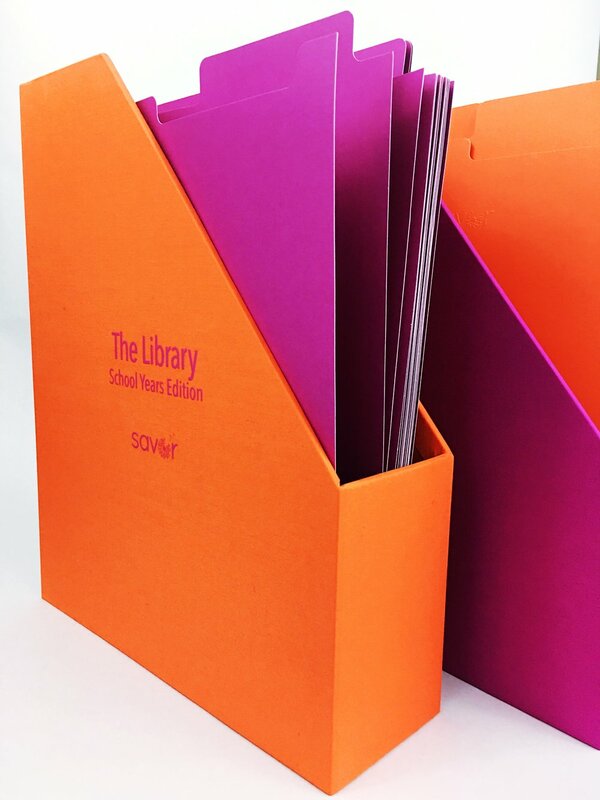 Upon receiving the boxes, we noted the high quality of the fabric and the gorgeous hue of the color right off the bat. 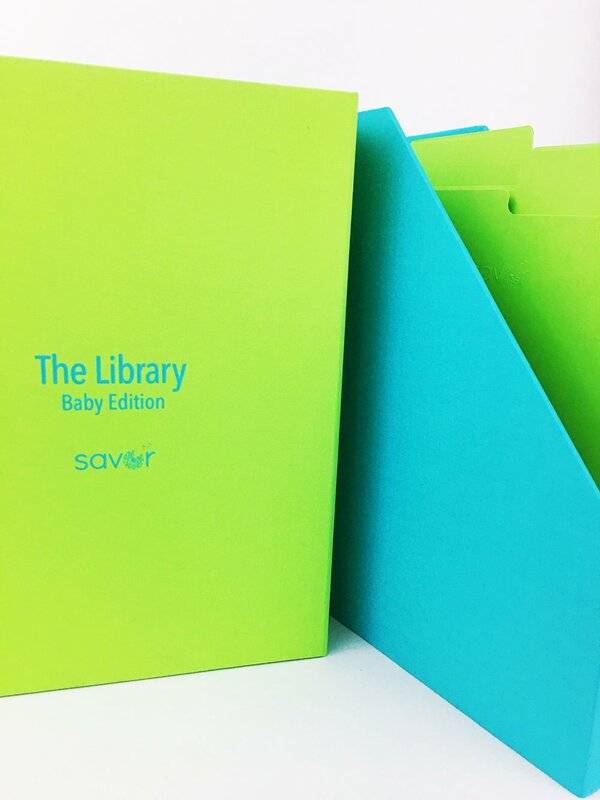 The included stickers to organize encompassed a broad range of categories, and the compartments and folders made of high quality, able to withstand lots of little hands, and more than enough space to keep those items that we hold dear to our hearts. And being able to have a home for specific keepsake items, priceless! Did we mention the choice of colors coordinate great either within children's rooms, or within adults decor as well, without standing out like an eyesore. Perfection! Now, for any expecting parents or clients with children, we have a new go-to gift! 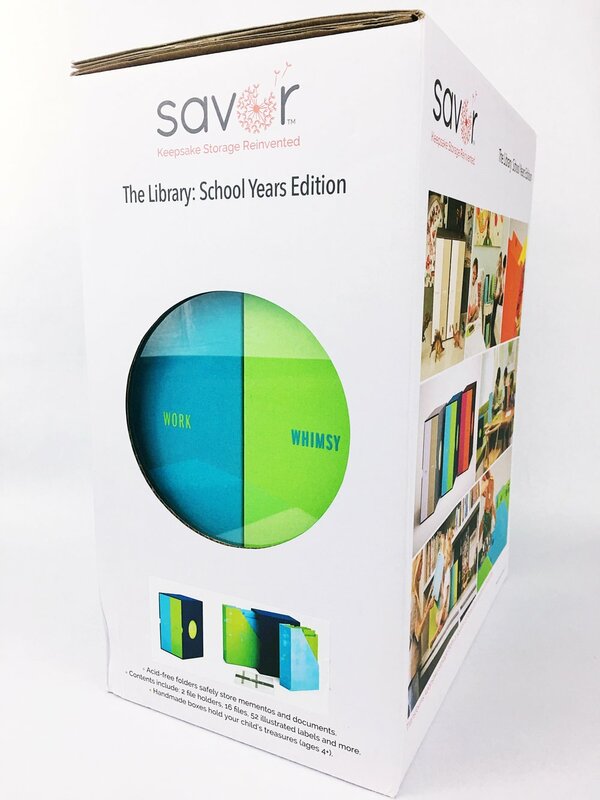 You can purchase these savor Baby Keepsake Boxes here and the School Years here. It's that time of year when the pressure is on to buy ALL the right gifts. From kids, to husbands, to hosts of holiday parties, the enormous weight is upon our shoulders to gift that uber special item. And while we are not big on materialistic things, we do agree it is nice to give and receive during the holidays. That being said, gifting quality over quantity is our motto, and wanted to share our gift guide of all the items we believe are worthy of giving. Nothing says 'thank you' for hosting like a well thought out gift. 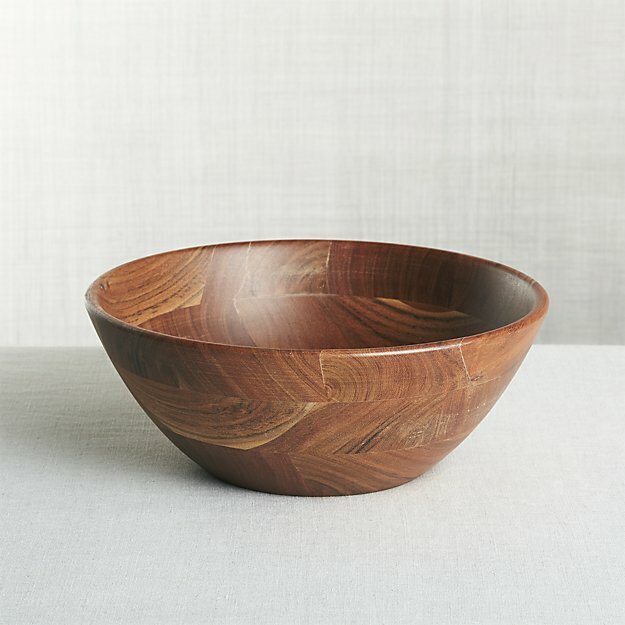 We like to make our gifts multi-purpose, so gifting a lovely stoneware platter or acacia serving bowl with a ready to serve appetizer is one of our favorite gifts for the host. Not only do they get an addition to their already planned meal, but a gorgeous serving piece to add to their collection to boot. A favorite of ours to gift 'to her' are our go-to winter essentials; skin care and shoes. Might sound odd (or even offensive) but we've never met a woman that didn't want the best kin whilst wearing some serious fab shoes. And when we find these products we swear by, we can't wait to share. We love a good functional gift as much as the next, and our two top gift picks are nothing short of just that. For 'him' we like to give a leather catchall/valet for the bedside table or closet for all those items that find there way in and out of his pockets. We also love the cord tacos for those millions of cords he just has to have! Kids gifts can seem tricky, as every store is brimming with possible options for gifting. We are huge fans of bringing children back to the basics. 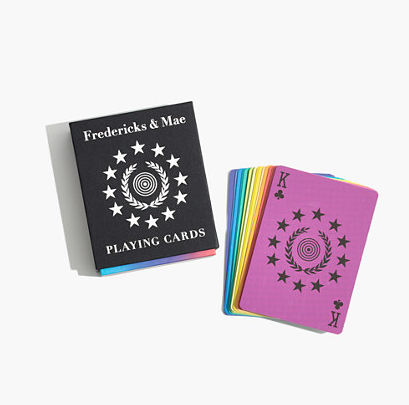 And nothing like a deck of rainbow fredericks & mae playing cards to play a fun game of go fish, or some black and white dominos for some classic fun. For the techie child, an old school fujifilm camera to snap instant photos. The holidays are full of people coming and going, but those that stay with us deserve a little more. In addition to adding a basket of necessities to their room, such as toiletries, we love to have a cozy combination of a robe and slippers from our favorite store, parachute. Not only do your guests get to enjoy the lavish spa like getaway, they can take those items with them and recreate the same feeling in their own home. While we are believers in the less is more movement, we do like to treat ourselves during the holiday season. 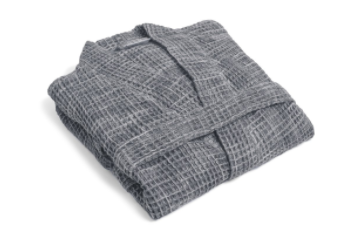 And for us, nothing beats quality linens from parachute, like our favorite percale sheet sets and waffle bath towels. Not only do we feel great about these yearly purchases, it also allows us to purge old sets and donate to those in need. Win-win. And who wouldn't want high quality sound with a small footprint? 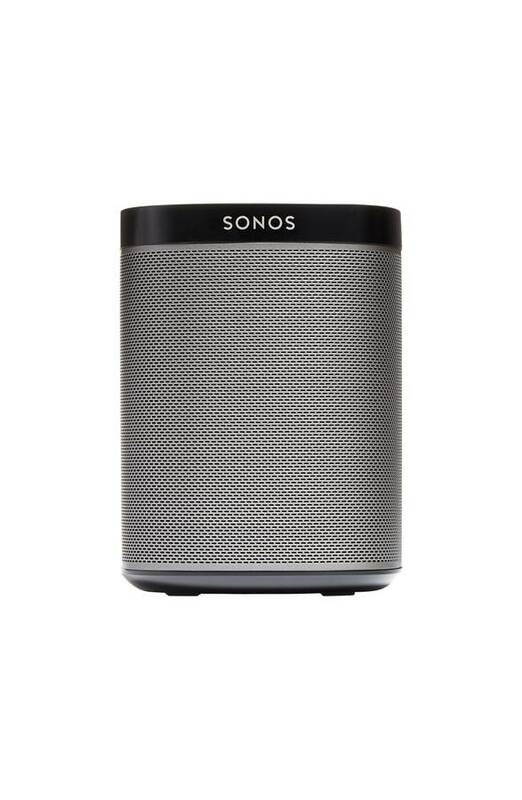 Sonos is always at the top of our wish list. If none of these strike your fancy and you feel like you want to burn the house to the ground because of all the clutter, we always have gift certificate options for home organization courtesy of yours truly! What are you favorite go-to gifts for the holidays? Whatever you give, we wish you a very happy holiday season! One of areas we see mismanaged the most is the dreaded bathroom cabinets. It's almost as if most are so overwhelmed by the number of products, that it ends up a jumbled mess. Like one of those cabinets you dread to open cause EVERYTHING will fall out. We spent a few sessions helping out a lovely family of seven...you read that right, 7 getting their bathrooms in order, and the results were fantastic. We began with the mom's bathroom to treat her, as she has successfully raised 5 lovely children (she's beyond amazing and we still don't know how she does it all). Our client explained her bathroom with one word....stressful. And just like every other space in our home, we never want to pair that word with ANY space, especially those areas that we use to get ready for our day. Like, who wants to begin their day on the wrong foot....no one. Be removing items from the countertop and creating zones in the drawers and cabinets, we were able to begin to create the sense of calm our client so desired. The client did request that her daily items remain on the counter, and we obliged. We grouped like products to create simple categories for the homeowner to find and file items. Body, face, hair, dental, feminine all within easy to reach labeled baskets. We also used our favorite divided turntables to house our client's spray tan and nail care, making selecting the right item a breeze. For the drawers, shallow drawer organizers help to corral hair accessories, lip balm, and qtips for easy access. As for our client's 3 younger children, we wanted to make space under the cabinets for their toiletries plus a space for towels. By adding a two tier organizer, we were able to corral all items in one place, completely freeing up one cabinet for each child's towels. And shallow drawer organizers created zones as to where all items would be placed when not using. These inexpensive fixes allowed a busy mom the ability to see what each bathroom had on hand, designate towels to each family member, and feel at peace when opening each and every cabinet. For us, we are so thrilled to have simplified such a stressful area for a fantastic family.